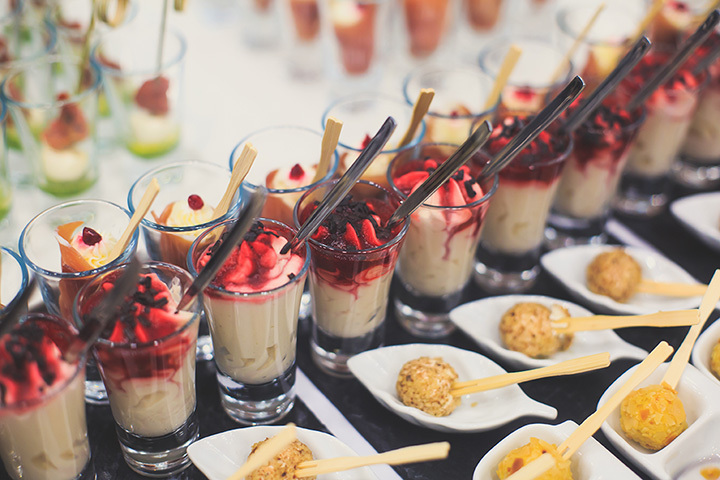 The 10 Best Caterers in Rhode Island! Throwing a big event? Leave the food to one of these incredible Rhode Island catering companies. They’ll make sure the meal or hors d’oeuvres go off without a hitch, and you can rest easy and enjoy the party! Here are the 10 best in the state. At Cozy, service is the secret ingredient! They’ll make sure that your event’s unique style shines through in the preparation and ingredients, too. Customers report that the meals are always prepared on time, and appetizers fly off the table quickly. Pranzi plans ahead so that every detail is executed to perfection. Pranzi offers fresh food with high quality ingredients, making it a great option for larger and more casual events. From wood grilled pizza to bar services to chicken wings, you’ll love the catering that the Catering Gourmet can offer. There are even options for holiday dinners— complete with roasted turkey, stuffing and desserts—which range from $16 to $32 per person. This chef-owned, full-service catering company specializes in corporate catering and small business events. They’re down to provide breakfasts, luncheons, boxed lunches, snacks and breaks, picnics and clambakes, and bar packages, too! Blackstone’s menu changes with the season—the ingredients chosen speak to Blackstone’s attention to local markets and culinary trends. Looking for libations, too? Blackstone will hand-select wines and beers to compliment your menu perfectly. B & M specializes in hosting clambakes, pig roasts and barbecues in Rhode Island, in addition to its more classic menu options. Even if B&M is traveling far to meet you, they’ll make sure that the food arrives hot and ready to go! Emery’s knows weddings—that’s why it has won numerous awards when it comes to providing meals for your special day. You’ll love the specialty desserts, such as signature wedding cakes, cheesecake crisps, cream puffs, whoopie pies and chipotle peanut butter cookies! Chef Luciano will bring his traditional Italian cooking straight to your home—enjoy the best pastas, charcuterie boards, bruschetta and homemade desserts like tiramisu and chocolate satin fudge cake! Since 1945, Schroder’s has been serving up quality deli meats and sandwiches. You’ll be watering at the mouth for their incredibly flavorful honey-smoked turkey and roast beef. They also serve fantastic Italian dishes at a reasonable price for catered events, such as their chicken parmesan and lemon chicken. Pick up or have delivered some of Meal Work’s incredible dishes. You’ll appreciate their Italian buffet, which can be bought for $13.50 per person, or the barbecue buffet for just $15.50 per person.